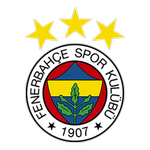 Fenerbahçe and Sivasspor face at Şükrü Saracoğlu Stadyumu, in a match for the 26th round of the Süper Lig. In the last head‑to‑head for this edition of the league, played on 20‑10‑2018, these teams have tied (0‑0). The head‑to‑head history at this stadium, favours the home team, since in the last 3 head‑to‑heads they won 3. Accordingly, in the last head‑to‑head played at this stadium, for the Süper Lig, on 19‑11‑2017, Fenerbahçe won by (4‑1). N. Dirar (31' ) and Soldado (61' , 77' and 81' ) scored for Fenerbahçe and T. Bifouma (46' ) for Sivasspor. The home/away factor is worth special atention, since although this is a match between 15th and 7th of the league table, it’s also a match between the 8th best team in home matches and the 11th best in away matches. The home team is currently in the 15th position of the league, with 28 points won, after 6 wins, 10 draws and 9 losses. In the penultimate match, they won in a home match against Rizespor, by (3‑2). In the last match, they lost in an away match against İstanbul Başakşehir, by (2‑1). This is a team that usually plays better at home, where they have won 20 points, against only 8 points in away matches. For the league, Fenerbahçe won 17 points out of 30 possible points, after 4 wins, 5 draws and 1 loss in the last 10 home matches. They haven’t lost any of the last 7 home matches for this competition. They haven't been very strong defensively, since they have suffered goals in 8 of the last 10 matches, but their offense has scored frequently, since they have scored goals in 8 of the last 10 matches for this competition. There is a tendency for goals in their home matches, as 11 of the last 12 for this competition have ended with Over 1,5 goals. They have conceded the first goal in 15 of their 25 matches for this competition, and have only turned the score around in 2. Fenerbahçe arrive for this clash unmotivated due to a 2-1 defeat at Basaksehir: the team's goal was signed by Soldado. The hosts present several individual values in their squad, where André Ayew stands out with his quality at the time of finalizing, being this the top scorer, with 5 goals signed in the championship. Usually coach Ersun Yanal uses a 4-2-3-1 tactical formation, benefiting the maintenance of ball possession and organized attacks. For this game the coach can not count on Dirar, Valbuena, Cigerci and Topal, all by injury. Confirmed Lineup: H. Tekin, S. Çiftpınar, M. Škrtel, V. Moses, H. Kaldırım, M. Isla, T. Arslan, M. Topal, M. Zajc, A. Ayew, Soldado. The away team is currently in the 7th position of the league, with 34 points won, after 9 wins, 7 draws and 9 losses. In the penultimate match, they lost in an away match against Bursaspor, by (3‑2). In the last match, they won in a home match against Yeni Malatyaspor, by (2‑0). This is a team that usually makes good use of the home advantage, since they have won 11 points in away matches and 23 points at their stadium, with 18 goals scored and 10 goals conceded at home, against 19 goals scored and 27 conceded in away matches. In the last 10 away league matches Sivasspor has a record of 3 wins, 1 draw and 6 losses, so they have won 10 points out of 30 possible. Defensive consistency hasn’t been their best feature, as they have conceded goals in 8 of the last 10 matches, but their offense has scored consistently, as they have scored goals in 9 of the last 10 matches for this competition. In their away mathes there is a tendency for goals, since 8 of the last 12 matches for this competition have ended with Over 2,5 goals. In 25 matches for this competition, they have conceded the first goal 10 times and have only turned the score around in 1. 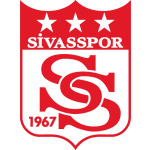 Sivasspor come to this game with a 2-0 home win over Yeni Malatyaspor, putting an end to the four defeats in the Turkish championship: the team's goals were signed by Douglas and Aksoy. One of the biggest dangers in the front line of the visiting club is the Ivorian Arouna Koné, who has 9 goals and 1 assist. Coach Hakan Keles enjoys playing in a 4-2-3-1, where Arouna Koné occupies the most advanced position. Demir and Hugo Vieira continue from injury. Confirmed Lineup: T. Acar, M. Bjärsmyr, Z. Erdal, Douglas Pereira, F. Aksoy, P. Papp, D. N’Dinga, H. Arslan, Ö. Hurmacı, E. Kılınç, F. Diabaté. The most likely scenario for this clash will be for both teams to score at least one goal. Given the recent form and the offensive quality of the two teams will be expected to provide an interesting, open game with many goal opportunities for both sides. Given this and the image of the last confrontations between the teams, we believe that betting in favor of the goals for both sides is of enormous value. Note: Listing of Tips made only in contests available at the Betting Academy Kenya.